Home World News	Is U.K. the New Terrorism Target? Or Was It All Along? Is U.K. the New Terrorism Target? Or Was It All Along? The security services have faced criticism after it became publicly known that the perpetrators of all three recent attacks were known to the authorities. Footage resurfaced on Monday of a Channel 4 documentary that aired last year, in which one of those suspected of carrying out the London Bridge attacks is seen among a group of men unveiling an Islamic State flag in a London park. But security officials say that the number of radicalized individuals has become unmanageable, taking into account those who have returned from fighting in Syria and those frustrated that they cannot travel there. Britain had been largely free of terrorism for several years. The last major attack came in 2005, when suicide bombers coordinated an assault on London’s public transport system, killing 52. In 2013, two British-born men of Nigerian descent butchered Lee Rigby, a British soldier, in daylight on the streets of London. Yet compared with Belgium, France and Germany, where terrorism has become more commonplace in recent years, Britain had seemingly been spared. It has not been for lack of trying on the part of militants. “Terrorist groups have wanted to strike the United Kingdom for a long time, and they’ve been very persistent in their effort,” said Raffaello Pantucci, a specialist in counterterrorism at the London-based Royal United Services Institute. Passengers leaving the Edgware Road underground station in 2005. But the pace does appear to have intensified. Five terrorism plots have been stopped in the last two months alone. One reason, officials said, may be the backdrop of an election campaign that has placed Britain in the international spotlight and that multiplies the impact of any attack. As in France, where a police officer was killed on the Champs-Élysées shortly before the recent presidential election, the attack on Saturday unfolded five days before Britons go to the polls. Beyond that is the fact that terrorism often begets terrorism. Successful attacks have tended to inspire copycat acts in the past. 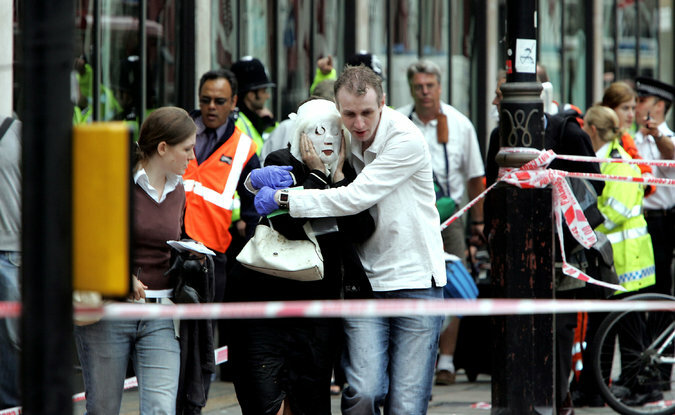 Only two weeks after the attacks in London in 2005, for example, two militants tried to stage similar assaults, but their bombs failed to explode. With terrorists resorting to everyday items like kitchen knives or vehicles as their murder weapon, copycats have become an even more serious concern, Mr. Maher of King’s College London said. “It’s as simple as: Get a car and mow somebody down,” he added. The recent series of attacks began on March 22, when Khalid Masood plowed a car into civilians on Westminster bridge, before jumping out and fatally stabbing a police officer outside Parliament. (Mr. Masood was shot dead by the security forces.) About a month later, another man, carrying a backpack containing several knives, was arrested near the prime minister’s residence on suspicion of planning a stabbing assault. And comparisons have already been made between the Westminster attack and the assault on London Bridge and Borough Market, which also involved a vehicle and stabbings. 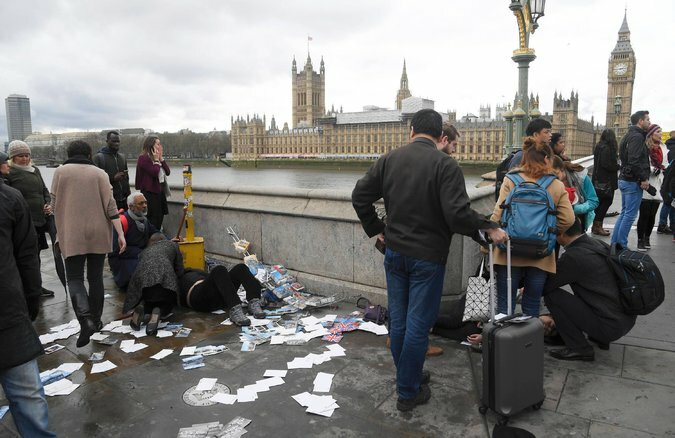 The aftermath of the attack on Westminster Bridge in London on March 22. The Islamic State, also known as ISIS or ISIL, has long encouraged this type of crude, unsophisticated attack. Two months ago, the group put out a message telling supporters to use fake bomb vests, knives and trucks to kill “crusaders” during the holy month of Ramadan. In Britain, the authorities have released only scant details about the plots they have disrupted in recent years. One was planned for 2013, Mr. Pantucci said, when a group of men suspected of having returned from fighting in Syria planned to commit a mass shooting but were arrested. Another involved one of the most notorious British plotters and recruiters, Junaid Hussain, a computer hacker from Birmingham, England, who was prosecuted in 2012 and convicted on charges that he illegally gained access to former Prime Minister Tony Blair’s address book the year before. In 2015, Mr. Hussain recruited a young delivery van driver from Luton and directed him in the foiled plot to attack American soldiers at an air base. Mr. Hussain was killed in a drone strike in Syria in 2015, after British intelligence services discovered his involvement in recruiting people for several major plots that year. Also in 2015, two university students were caught planning a drive-by attack on a police station and army barracks in West London. The students, Tarik Hassane, who had once wanted to be a heart surgeon, and his friend Suhaib Majeed, a physics student, were arrested after a surveillance team observed them buying a semiautomatic pistol with silencer and bullets. Another man, Nadir Syed, from West London, was arrested in November 2014 after he was suspected of planning a knife attack at Remembrance Day celebrations the same month. In many ways, Britain has a good track record when it comes to preventing radicalization and terrorism. Despite an infamous (and true) statistic that more British Muslims have joined the Islamic State in Syria than have joined the British Army, the per capita count of those defecting to Syria is lower than in Belgium and France, experts say. A police program for detecting radicalization, called Prevent, has a toxic reputation in Muslim communities in Britain, but it has been studied by other European countries as exemplary practice. Still, the security services are stretched. With about 500 principal investigations of active plotters, 3,000 further people of interest on the radar and 20,000 others with vague links to militancy, there are limits to resources. “It’s a very big threat picture,” Mr. Pantucci said.